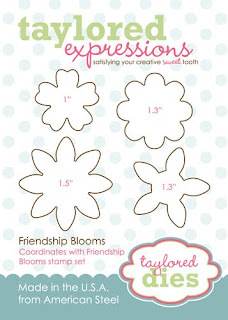 Stamping A Latte: Taylored Expressions Previews: Day One! 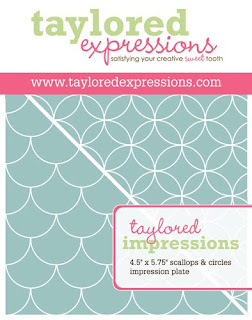 Taylored Expressions Previews: Day One! 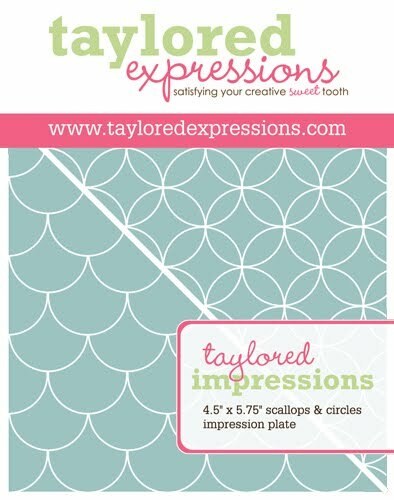 Welcome to the first day of sneak peeks for the latest (and totally AMAZING) release from Taylored Expressions!!! 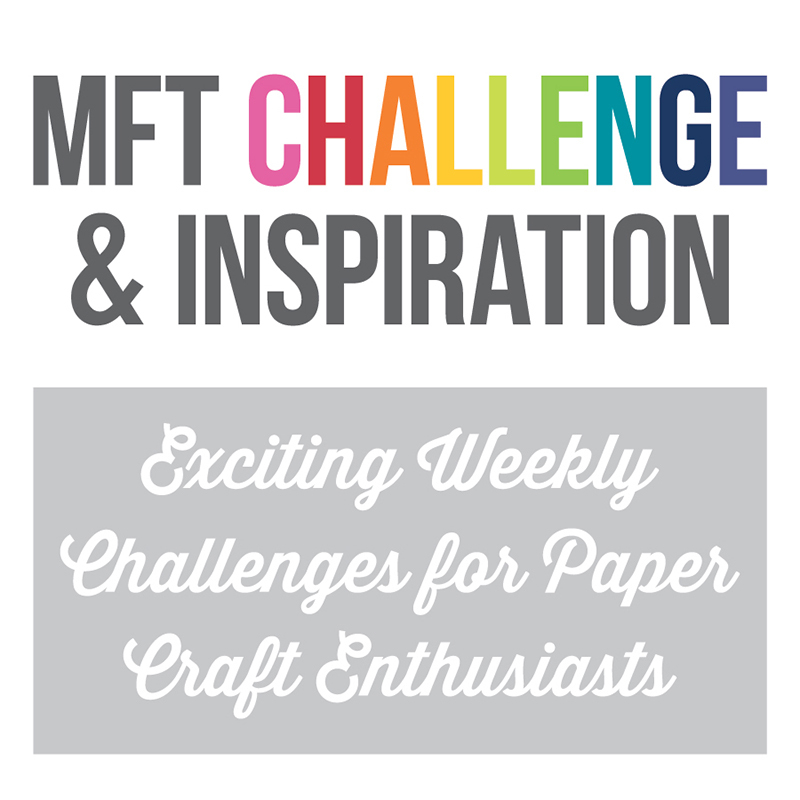 I am SO excited about all the new stamps AND fabulous dies being released this month!! Today, the Bakers Dozen have the pleasure of sharing previews with you of an absolutely gorgeous new set called Friendship Blooms! Let me tell you, this set is a must have in your stamping arsenal! Something else thats a must have? Well, how about GORGEOUS new dies??? 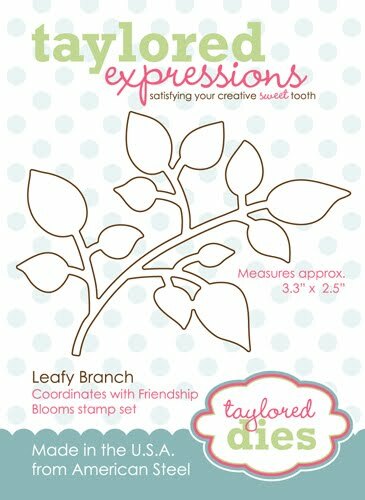 This month, Taylor is releasing three different sizes of Scallop Border Dies (I used the Medium Scallop Border on my card today), Friendship Blooms Die (that totally matches the flowers in Friendship Blooms), and my personal favorite, the Leafy Branch Die! Another new product being released on Thursday, (and this is FLIPPIN' FANTASTIC) is the Scallops and Circles Impression Plate! I LOOOOOOOVE this...so be prepared to see it ALOT! LOL!! For my card, I started by stamping one of the beautiful sentiments from the set, "I'm lucky to have you as a friend" and then stamped the leaf stamp, after stamping off twice, behind it. I cut out and embossed this panel with Circle Nestabilities and layered it over Scallop Circle Nestabilities. I stamped the flowers and leafy branch using fall colors of cardstock to match the patterned paper, which is from Curio by Basic Grey, and then cut them out using the Leafy Branch Die and the Friendship Blooms Die. I arranged them all the way I wanted and popped up the flowers using Foam Tape. The sunflower has some Coffee Bean Sparkly Fluff added to the center, and the other flowers are adorned with a rhinestone and some of Taylor's Tiny Twinkles. The background was embossed using the new Scallops and Circles Impression Plate (isn't it FABU? ), and I sewed all of the layers on my sewing machine. A few brads in the corners and some lace trim finish this one off! Thanks SO much for stopping by! 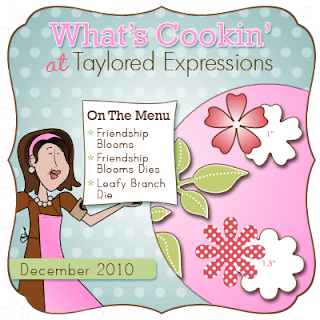 I hope to see you back here tomorrow for more Taylored Expressions peeks!! Ohh I love all the dies, FABULOUS. hmm, me thinks I shouldn't have stopped my Key Ingredients subscription! These new goodies are awesome and wow, look at that gorgeous card!! Love your card! 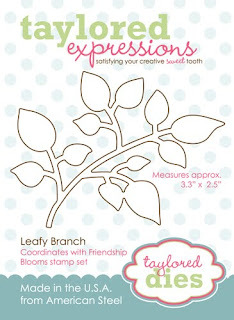 Love how you stamped the leaves in the background and used the flower dies. Jodi this is gorgeous!!! 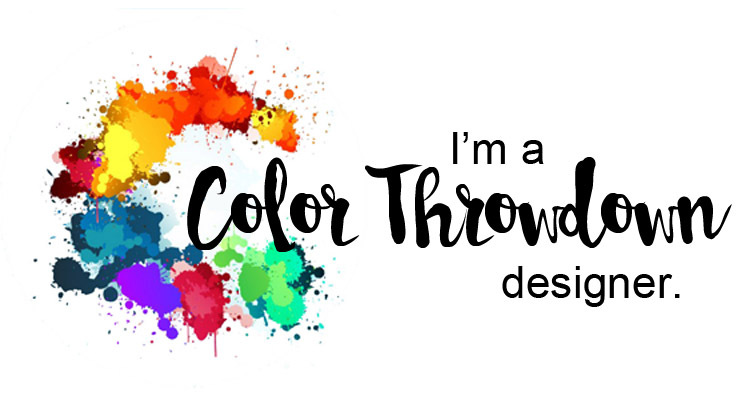 I absolutely love everything about your card, the colors, papers and all of the fun new TE products! What a pretty card this is!! I love the warm colors and sentiment! 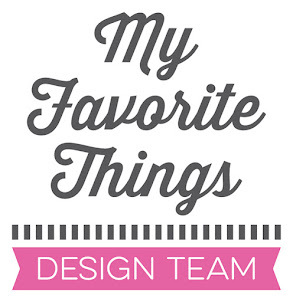 Love your card and adore all of the new dies and such!!! Oh gosh! I can see where my extra money is going this month....hehe! Fantastic sample girl! Love the rich and warm colours you have used! 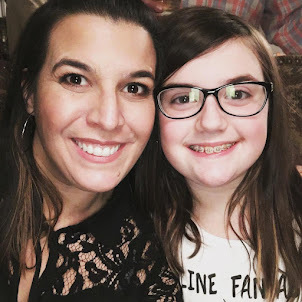 Super cute, Jodi! I love the tone on tone flowers and that amazing color combo and layout! Gorgeous!!! this is gorgeous, Jodi! fab design. love the flowers and leaves. oh, Jodi! this is gorgeous. I think I need that impression plate-wow! LOVING all the new dies, and that impression plate...YIKES!! LOVE!!! HOly MOly.....This is pure gorgeousness, Jodi!!! I LOVE this!!! The cluster of flowers is so pretty and the sparkly fluff center on the one flower is awesome!!! This is GORGEOUS, Jodi! 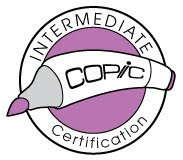 I LOVE the colors, the embossing. .the die cut flowers! Just gorgeous!